Alpenglow started in 2014 and is a travel agency that specialises in catered ski chalet holidays. We’re a small, knowledgeable, experienced team and our aim is to make organising your holiday as easy and stress-free as possible. 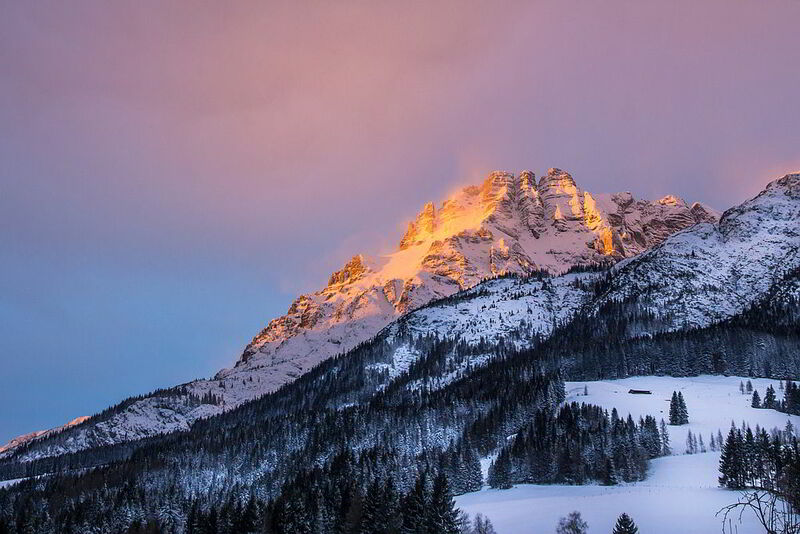 noun: alpenglow 1. the rosy light of the setting or rising sun seen on snow-covered mountains. Matt set up Alpenglow with Emma following 15 years working in the ski industry in the Alps and in the UK. He did five winter seasons in La Tania, La Plagne and Serre Chevalier. 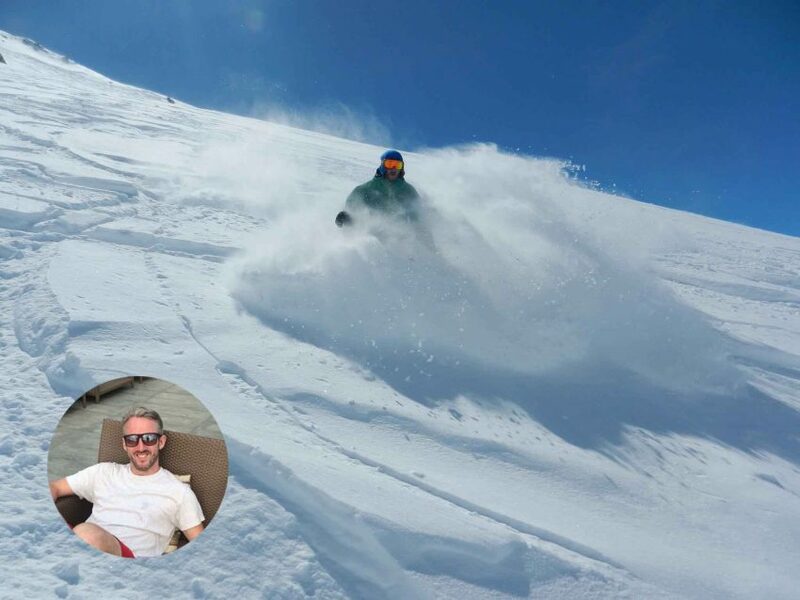 When Matt returned to the UK he decided to put his resort knowledge to good use by becoming a ski travel agent. Steve’s first experience of the mountains was on a year abroad at university in Chambery. Once the snowboarding bug was well and truly caught, he spent four winters in Meribel, working as a chalet host. 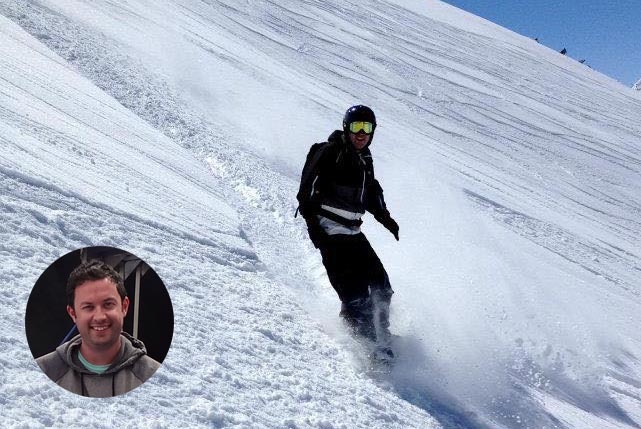 Steve then returned to the UK and has spent the past few years on the other side of the fence as a ski travel agent. Emma is the co-owner of Alpenglow, after taking the brave (or crazy!) decision to start the business with her husband Matt. She is also a radiographer and still works in radiography part-time, juggling this with helping to run Alpenglow. 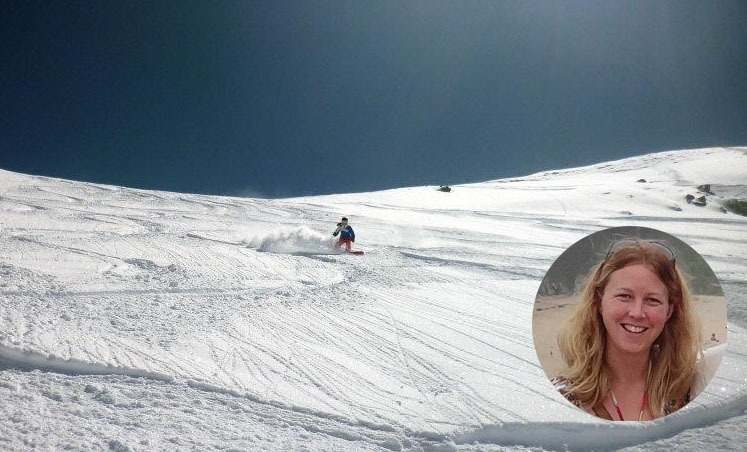 Emma spent five winter seasons in the Alps doing various jobs in Val d’Isere, St Anton and Kitzbuhel. She also worked for three years as a stewardess on superyachts around the world before returning to the UK and training as a radiographer. Wicket is the Alpenglow office dog. If you’re on the phone to us you may sometimes hear him barking at dogs that go past the window. 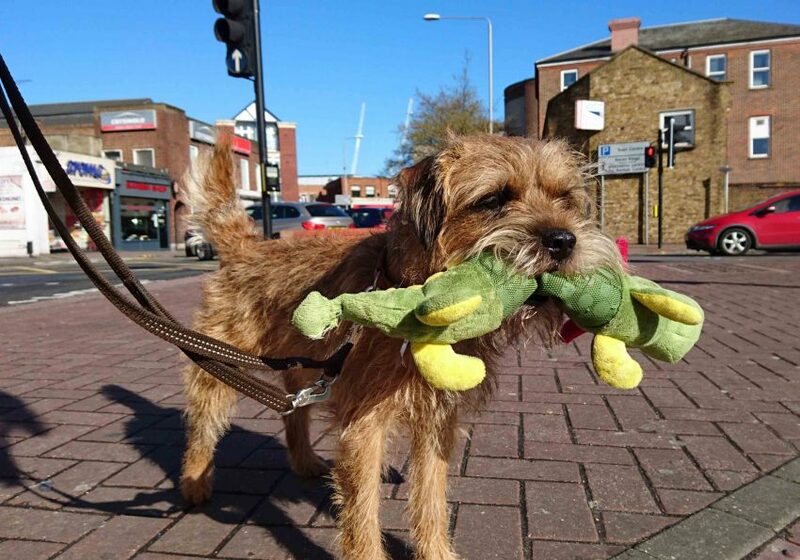 His favourite things are sausages, destroying stuffed toys and going to the pub. He’s the only one of our team to have not spent a winter season in the Alps, however Wicket does get to join Matt and Emma on their trips to the mountains. So far he’s been to La Plagne, Chamonix, Morzine, Les Gets and Courchevel. Wicket loves playing in the snow but he’s not sure about skiers, he regularly embarrasses Emma and Matt by barking at them. Wow what a team! Gave them a very tough brief first thing on a Monday morning for a short notice extended family holiday. They listened to our requirements and found exactly what we were looking for within an hour (I had been searching for days and was almost resigned to not going on holiday). Very friendly, knowledgeable professional service. Well done will definitely use alpenglow again. I’ve been booking ski holidays through various means for the last 20 years, I wouldn’t go anywhere other than Alpenglow now. Matt’s knowledge is second to none; friendly, efficient, flexible and always able to offer inside tips that make the difference when you’re in resort. I couldn’t recommend Alpenglow highly enough. I received an excellent and efficient service from Steve Church. He cleverly sent me the details of 3 different holiday options and when I said which one I liked the most he sent me others of a similar standard and price. I was impressed with his intelligent and no nonsense approach.